bigvan.com | moving & storage for agents, dealers, artists and collectors | special care for art and antiques. 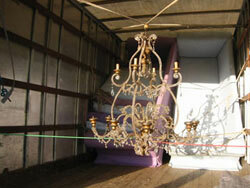 We move very fragile and precious pieces for galleries, art and antique dealers and auctioneers. Artists, too are among our customers. We offer insurance, experience and have more than a decade of satisfied, repeat customers. They value our commitment, and our passion to provide reliable, high quality service. Planning always helps a smooth move, so call us early and we’ll have everything ready in good time.